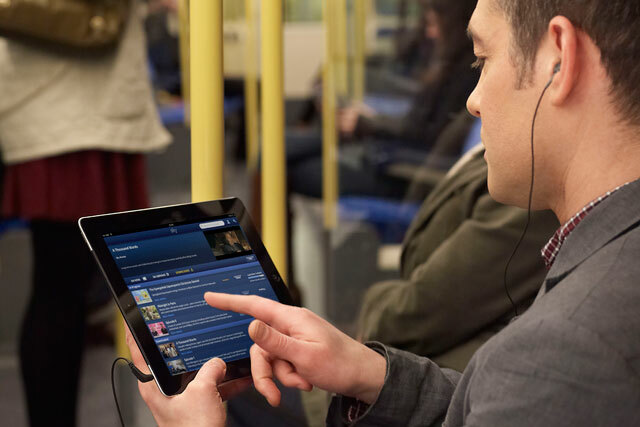 BSkyB has launched a subscription service called Sky Go Extra, which will allow customers to watch Sky content offline, and access Sky Go on four internet enabled devices instead of two, for £5 a month. Depending on a customer's current Sky package, users will be able to download content including major Hollywood movies, Sky Atlantic series 'Girls' and Sky1's Carl Pilkington in 'An Idiot Abroad', for 30 days. Only movie and entertainment content will be available on the service, sport is not included. Sky Go Extra is the first mobile TV subscription service in the UK and Ireland to offer new Hollywood movies to download and watch offline. Users can download as much content as their device can store but downloads expire after 30 days. Sky already offers its movies online without a subscription through Now TV, which streams movies for £8.99 a month, and gets content a year before rivals Netflix or LoveFilm Instant. The BBC iPlayer currently allows downloading of content, and Channel 4 announced mobile offline viewing for 4oD, Pause and Play across platforms and live viewing on mobile devices at its Upfront event in November. There will not be any advertising on the platform but it will generate revenue for Sky via the additional subscription charge. Stephen van Rooyen, managing director of sales and marketing, Sky, said: "We continue to deliver helpful and innovative ways for Sky customers to enjoy even more flexibility over when, where and how they enjoy Sky." Blockbusters like 'Avengers Assemble', 'Sherlock Holmes: Game of Shadows', 'Pirates In An Adventure with Scientists' and the entire James Bond film catalogue will be available on Sky Go Extra. New films such as those above are available exclusively to Sky Movies subscribers and will not be available on any other online movies subscription service for a least a year after they first appear on Sky Movies.